Just like many enthusiasts of The Sims video game, Phillip Balsiger aspired to mold a booming epicenter out of a desolate landscape. But, rather than projected through software code, the city he imagined more than 50 years ago would eventually exist in the real world. After graduating from the University of Oregon's architecture school in the 1950s, Balsiger moved to Wilsonville — believing the small, unincorporated town had untapped potential. "He (Balsiger) was a visionary," longtime Wilsonville resident Wayne Lowrie said. More than a decade later, Balsiger and a group of residents began a push that would change Wilsonville forever. So an elected government could seize control of city planning from Clackamas County, the Wilsonville Jaycees, also called the United States Junior Chamber, gathered enough signatures to put a vote of whether or not Wilsonville would incorporate up for a ballot measure. On Oct. 10, 1968, residents in the area voted to incorporate by a thin margin of 183-163. Balsiger was later named the city's first mayor. The City of Wilsonville will celebrate the 50-year anniversary of incorporation at the Community Block Party Aug. 22 at Town Center Park. "When I was a kid, to think it would be what it is now, I couldn't have even imagined it," said longtime Wilsonville resident Barb Boozier, who was growing up in Wilsonville at the time. Made up of mostly agricultural land along with the Old Methodist Church, a few stores in Old Town, a burgeoning shopping center near the current intersection of Wilsonville Road and Boones Ferry Road and less than 1,000 residents, the Wilsonville of 1968 bore little resemblance to the city of today. "It was very rural, a farm town, lots of gravel roads. Everyone rode their horses around," said Debi Laue, who is Balsiger's daughter and the principal broker of The Laue Team Real Estate. "It was very small town U.S.A. and that was a great way to grow up." However — like the popular song of the times — the times they were a-changin'. 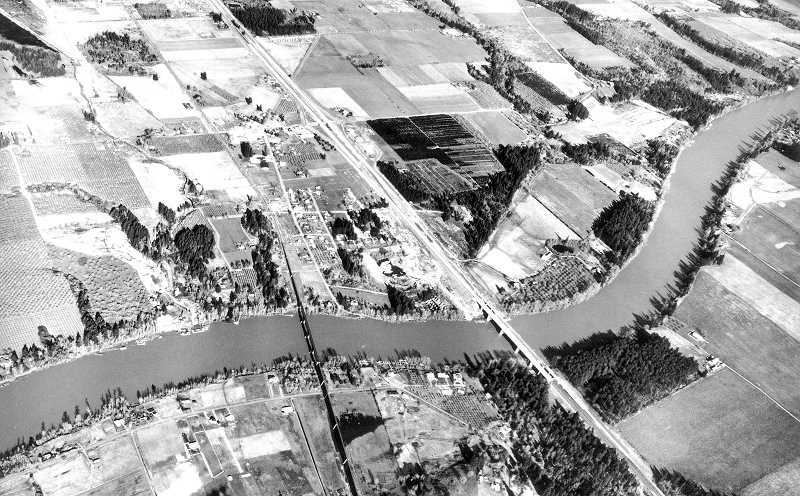 With the implementation of Interstate 5 in 1957, Wilsonville suddenly became a convenient landing spot between Portland and Salem. "The thing that made Wilsonville become a city was the freeway going through. When the freeway wasn't here we had to use the ferry. It was mostly farming and that was it. The freeway brought in business," Boozier said. And the addition of Dammasch State Hospital in 1961 led to a slew of new people flowing through the Wilsonville area. The hospital initially created 400 jobs. "Those two things (the freeway and the hospital) had the most direct impact. After that it was only a matter of time before it (Wilsonville) had to incorporate to continue to function," said Councilor Charlotte Lehan, who was a teenager living in Wilsonville at the time. 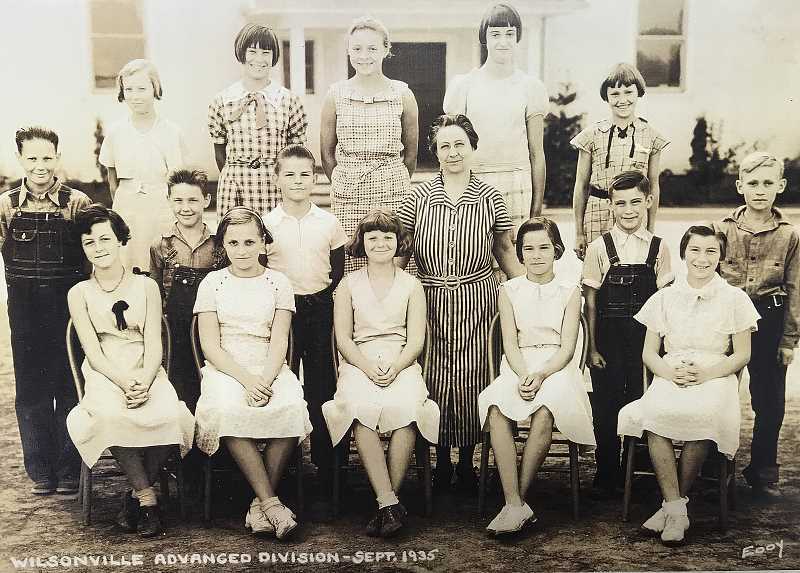 Along with working over 60 hours a week at his family's grocery store, Lowrie was a member of the Jaycees, which was made of up men between the ages of 21 and 35. "We (the Jaycees) did a lot of things for the community initially," Lowrie said. "We built our own kindergarten building for our children when it wasn't something available for the school district and we built the first fire station in town." In the year leading up to the incorporation vote, Balsiger mused to the Oregon Business Journal that Wilsonville was the "forgotten corner" of Clackamas County. The Jaycees and those in favor of incorporation believed the county planned the area negligently. As Wilsonville Jaycees President Walter Wehler told the Journal at the time: "Our discussions showed us that very little was being done by any government agency to find solutions to our problems. Everybody knows we're here but nobody does a thing about it." Lowrie, whose dad Bill Lowrie became mayor of Wilsonville in the 1970s, said the Jaycees were concerned about rumors that more trailer parks, a race track and a steel mill could be placed in the center of town. "We didn't feel that those things should be something set into the middle of our community," Lowrie said. As the Journal article noted, industries were progressively expanding to the south of Portland. And Balsiger told the Journal that he didn't want Wilsonville to end up like Tigard — where strip malls were ever-present and traffic congestion was an issue. "We don't want what happened in other areas surrounding Portland to happen here," Balsiger said. Along with development, Balsiger and others in favor of incorporation felt the city needed a unified water and sewage system. At the time, Lehan's grandfather, Dorris Young, owned Wilsonville Water Systems, which distributed water to many of the businesses in Wilsonville and Wilsonville Primary while a smattering of wells provided water to other residents and businesses. Lehan recalls regularly having to fix WWS's broken pipes. "As the city grew and densified you couldn't have everyone having their own well or more importantly their own septic field," Lehan said. Establishing the boundary was one of the trickiest aspects of planning for incorporation. Lowrie said Balsiger led that effort and wanted to avoid wrangling owners of agricultural land that didn't want their farms within city limits. The chosen boundary resided along the Willamette River, near Stafford Road, near Wilsonville Road and a zigzagging boundary near but not including the current Villebois neighborhood, which was then occupied by Dammasch State Hospital. "We wanted to get the biggest area we could with the least resistance. We thought if we went out further into agricultural area there would be more resistance," Lowrie said. As the final vote tally indicates, the opposition to incorporation was widespread. Laue recalls a vocal group of residents who lived on the west side of Wilsonville showing up to every town hall meeting and voicing displeasure with the idea. Balsiger called this group the "Lavender Hill Gang" because many of the residents lived in an area that was colored lavender on a planning document. Laue said these people simply didn't want change. "'We don't want traffic; we like it the way it is. We don't want a lot of people around,'" she recalled them saying. Despite the resistance, residents voted for incorporation by a 53-47 percent margin. In the ensuing years after the vote, Wilsonville established a water and sewage system and bought land from Boozier's father Charles Boozier and turned it into Memorial Park. "My husband had a service station at that time. There were fields down below used to raise grain, corn. We had sheep. It was not enough land to make a good living on," Boozier said. Wilsonville also annexed the land that would become Charbonneau, which Lowrie said likely would not have been developed to the extent that it did without the water and sewage system. Commemorating the 10-year anniversary of incorporation, the Wilsonville Times newspaper noted that property values were 10 times greater in 1978 than they had been at the time of incorporation. But the paper indicated that the city developed slowly. "As with any growing things, change has occurred, but thus far it has been relatively gradual, and it's very understandable why few recall the exact date on which 'it all began,'" it said. Particularly in recent decades, change has accelerated. Since incorporation, the city's population has ballooned from under 1,000 to over 24,000 and has more potential for growth than most other cities in the Portland metro area due to its place on the periphery of the urban growth boundary. Seeking a dryer climate, Balsiger moved from Wilsonville to Butte Falls in the late 1970s and passed away in 1988. Laue said that if Balsiger were alive today, he would marvel at how the city has taken shape. "It's a beautiful town. There's so much nature space. He would be very happy with the way Graham Oaks Nature Park developed and Villebois," Laue said. "I think he would be delighted."